Oh my! Such a great DIY! Thanks! It’s super easy, you should try it! Cool… I need some Vodka! It will last a few weeks (just keep turning the reeds around). And if the smell starts to dissipate, just add a few more drops of essential oil. 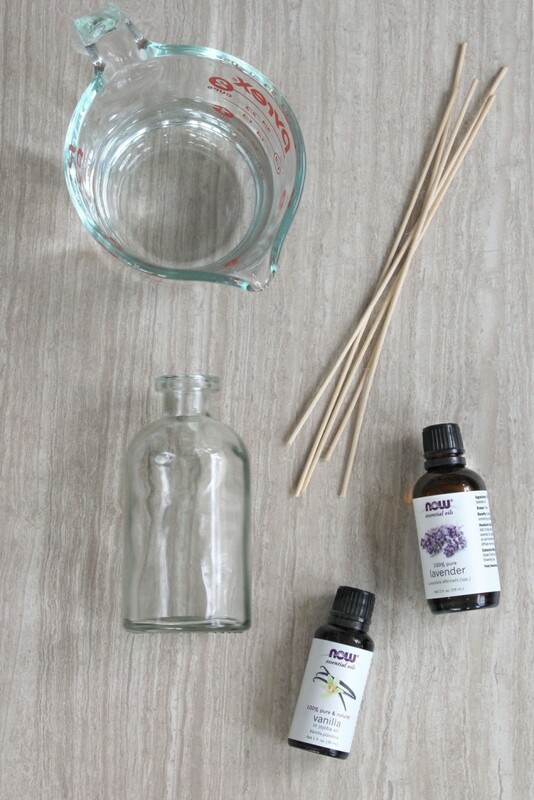 I love reed diffusers and this looks really easy! Definitely will have to try this! You should! It is super easy. All I could think of when I read cucumber melon was, “woah high school throw back!” Haha I love your DIY diffuser though! They’re so easy to make and I just recently got into essential oils! I’m addicted to rosemary and patchouli! :) Thanks for sharing this post! Right? Throw in some body glitter and you got me in high school! lol. Rosemary and patchouli would both be great. My oils are in the mail! I’ll have to try this when I get them! I love scents as well, but like you I used to buy candles and oils and never use them, then they would collect dust. 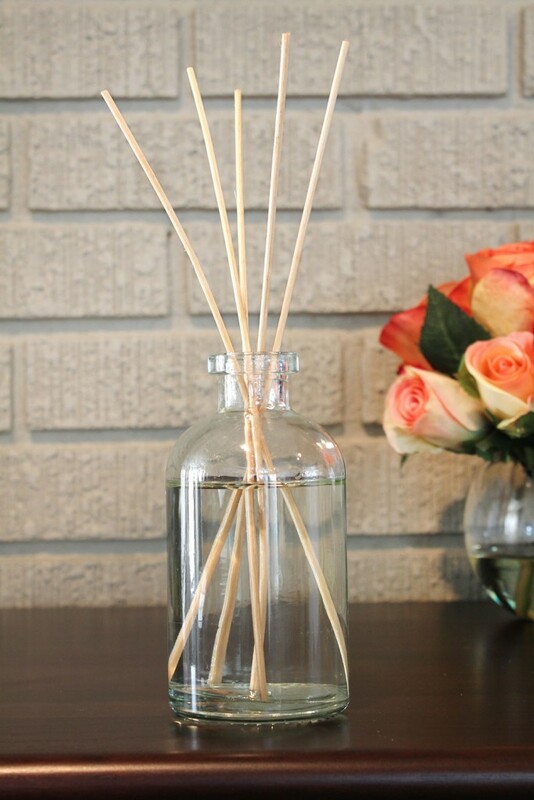 I love the reed diffusers but when I researched it Iw as told it is hard to make them work with natural products. This looks great. 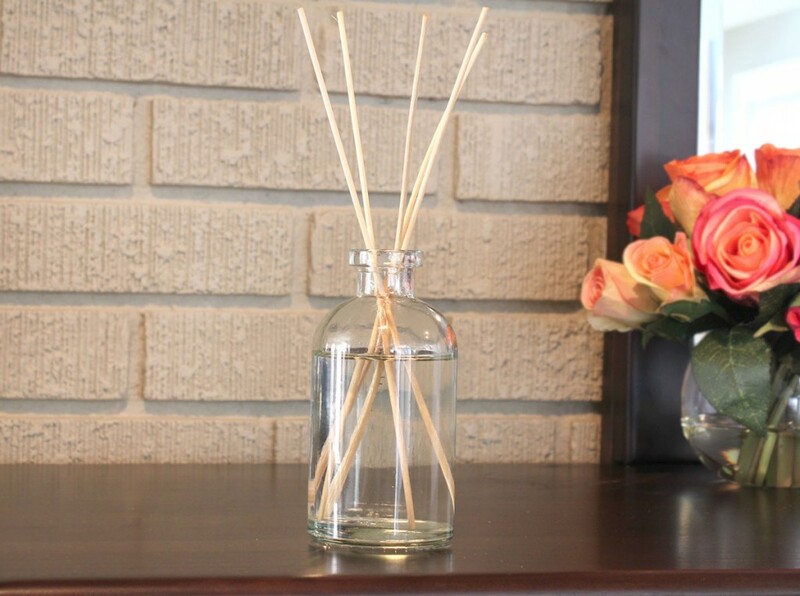 A lot of the commercial diffusers use synthetic fragrances. This is a great substitute! Thank you so much Diana! I hope you try it. Eww! It’s gross when you actually see how bad synthetic ingredients can be. I’m glad you want to try the natural version and I hope you like it! You will love EOs. I use them all the time!